Every year, the competition among Amazon sellers intensifies. From 2017 to 2018, the number of third-party sellers who made more than $1 million in revenues on the Amazon marketplace grew by 20%. And it’s well known among sellers that lots of shady (or black hat) practices go on. 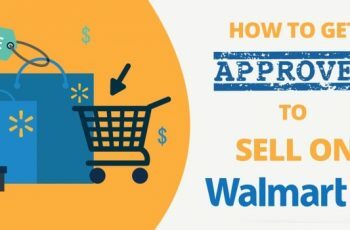 So sellers are always looking for compliant ways to get their products in front of more shoppers and make more sales on the world’s largest online marketplace. Many sellers are looking at external marketing channels to drive additional traffic to their Amazon listings. Typically, Facebook Ads are the most effective & scalable source of external traffic for Amazon products. 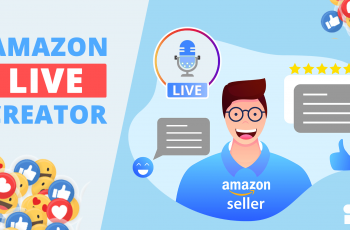 In this post, we are going to dive into Facebook Ads for Amazon, and show how sellers can leverage this advertising platform to increase product visibility on Amazon, generate product reviews and build a highly-valuable customer list. All without breaking Amazon’s Terms of Service. Facebook has over 1 billion daily active users. Through its Ads Manager platform, you can show ads to people on Facebook, as well as Instagram & Messenger. Messenger, in particular, seems to be the future of marketing, as Facebook has plans on integrating the messaging features of Facebook, Instagram & Whatsapp next year. Facebook Ads allow you to build highly sophisticated targeting audiences. Facebook has lots of data on their users (which has led to quite a bit of controversy, as they faced some trouble from the US Senate). 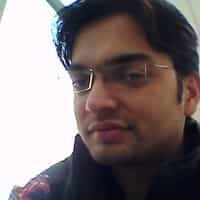 This data provides advertisers the opportunity to show ads to users who are most likely to become high-value customers. We will discuss targeting more below. 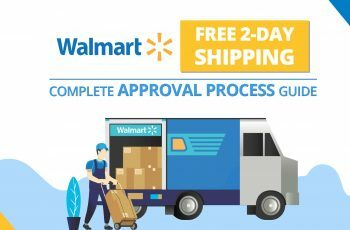 If done right, Facebook Ads allow Amazon sellers to get in front of their ideal customers before they are searching for their products on Amazon. In addition to this, Facebook Ads open the door for retargeting and email/Messenger marketing, so you can create multiple touchpoints & maximize the lifetime value of customers. However, many Amazon sellers don’t implement Facebook Ads correctly. They make some basic mistakes that end up costing them countless hours & thousands of dollars. 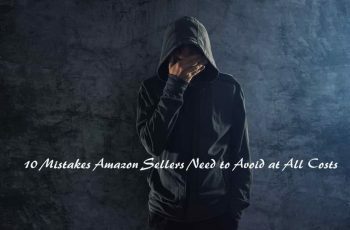 If your Amazon listings are not set up well, the money you put into Facebook Ads will be wasted. The primary benefit to running Facebook Ads for Amazon products is not and immediate, profitable return on ad spend (where your profit margin is higher than your Advertising Cost of Sales, ACOS). These do not work in the same manner as Sponsored Products ads. 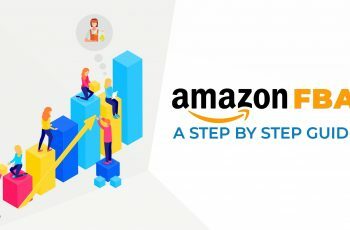 The primary benefit is a boost in sales velocity & conversion rate, which will lead to increased rankings and thus bring you more organic traffic and sales from Amazon. 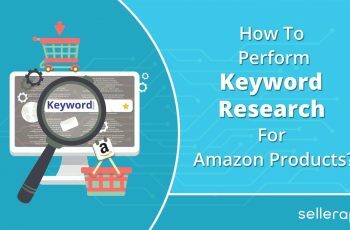 However, if you are not optimized for the Amazon search engine, then you won’t benefit much from a boost in the rankings. Furthermore, if you don’t have listing copy and images that convert traffic into sales, your rankings boost won’t last very long. In marketing, it’s important to tailor your message to someone based on where they are in the buyer journey. Someone searching for a product on Amazon is much further along the buyer journey compared to someone scrolling through Facebook News Feed who is shown an ad for a product they’ve never seen. Therefore, the person on Amazon is more likely to convert than the person on Facebook. So, if you are driving traffic straight from Facebook to Amazon, your conversion rates may take a dip. This will negatively impact your rankings. So to make the most of Facebook Ads, you’ll want to enable future touchpoints. In case someone doesn’t buy your products right then and there, you want to be able to lead them towards purchasing. Retargeting, email marketing and Messenger marketing are different options for future touchpoints. Driving straight to Amazon does not allow you to place the Facebook Pixel for retargeting or collect contact info. Instead, using a landing page is a better choice. By using a landing page between Facebook & Amazon, you are essentially building a sales funnel for your Amazon product. Filter traffic: The people that are unlikely to convert, bounce from the landing page and never reach Amazon. Those who are more likely to convert go to Amazon and buy the items directly, thus increasing your conversion rate. This, in turn, positively impacts your rankings. Distribute promo codes: The landing page allows you to automate the distribution of single-use promo codes, which further incentivizes purchases. Collect emails/Messenger subscribers: In exchange for the promo code, you can require email opt-in, or even collect Messenger subscriptions. So you can stay in touch with these people via a newsletter, ask for reviews and build a launch list to more easily rank products in the future. Enable retargeting: You can place a Pixel on the landing page, so you can retarget page visitors and build lookalike audiences based on actions taken. All in all, a landing page tool built for Amazon allows Amazon sellers to make the most of their advertising spend. Now that we’ve discussed the most common mistakes Amazon sellers make with Facebook Ads, we’ll move on to some positive tactics for effective Facebook Ads. The key to successful Facebook Ads is running multiple versions of your ads to different audiences and allowing the data to inform your decisions on where to spend money. If you are running identical ads to different audiences and one audience performs better, then you can turn off the other audiences and channel the funds towards the successful audience. Many people understand the general concept of split testing, but they mess up in the execution. By this, I mean they do not isolate variables. I had a client who set up an ad campaign that was testing different audiences, but each audience had different ad creative & copy. So the variance in results cannot be attributed to the audience or the ad creative/copy. Fortunately, Facebook has a feature in Ads Manager to test creatives, audiences, delivery optimization & placements. And for testing different ad copy, headlines, call to action, etc you can simply create a copy of the parent ad & change the desired element. Then you can copy that ad to another ad set if you are testing ad sets, simultaneously. Facebook gives you 3 different options for targeting audiences. Here you are building a profile of your customer. You can choose location, age, gender and seemingly endless variety of interests, behaviors and demographic characteristics. It’s usually a good idea to include Amazon.com (interest) & Engaged Shoppers (purchase behavior) in your detailed targeting. These are when you upload a list of customers and target ads directly to the list. Alternatively, you can build a custom audience of people who perform certain actions on your site / landing page (show ads to everyone who visited your landing page). This is commonly known as retargeting. Rather than showing ads directly to the people in your Custom Audience, Lookalike audiences show ads to people that are similar to those in the Custom Audience. Again, Facebook has a bunch of data on people. So they can take the commonalities from your Custom Audience and then find people that share the same traits. Lookalike audiences are typically the most cost-effective audiences for Amazon sellers running Facebook Ads. It is particularly true for prospecting campaigns, that is, finding new customers. 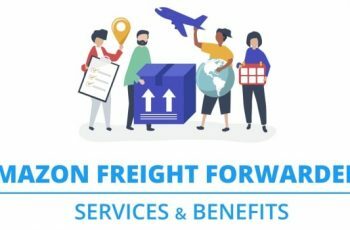 Within Seller Central, you can download the Amazon Fulfilled Shipments report, which shows all the people who bought from you over the course of a month. You don’t have their email, but you do have names & location (city, state, zip). After formatting this data, you can upload it to Facebook to create an audience. For step-by-step instructions on this, check out this detailed post on the same. You can create multiple lookalike audiences and test them against each other to find which performs best. The different audiences could vary by size (1% is the most closely matching to the Custom Audience, 10% is the least closely matching but widest audience), or detailed targeting (you can also include demographics/Interests/behaviors in a lookalike audience to narrow it down further). The most common offer that Amazon sellers give to entice prospects with Facebook Ads is a discount code. Typically, in order to use Facebook Ads to rank a product to page 1 for a given keyword, sellers will run a high-discount campaign for 7-10 days. Over the course of 7-10 days, you push out as many discounted units as needed to simulate the sales velocity of the competitors ranking on page 1. Our data shows that 70% is the sweet spot for conversion rate. If your goal is to generate Verified Purchase reviews, you’ll want to provide a lower discount offer. Most sellers find that discounts of 30% and over are disqualified from counting as Verified Purchases. Facebook Ads can be a great growth lever for Amazon businesses. But they must be done right, as they are not cheap. 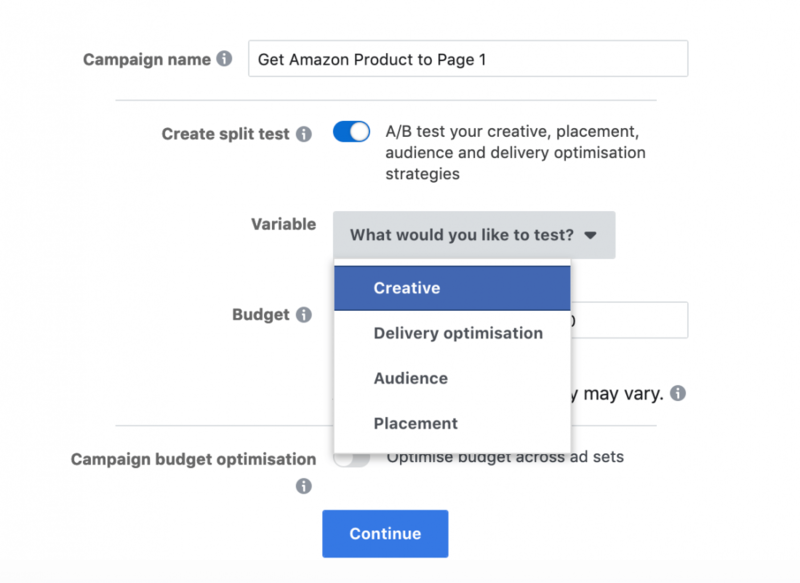 Split testing is absolutely key for success with Facebook Ads. 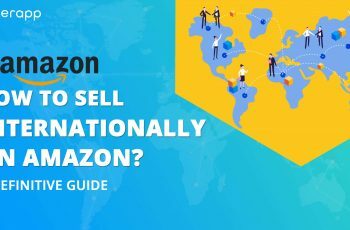 Amazon sellers typically see the best results with lookalike audiences based on their past customers on Amazon. And, of course, it’s important to remember that the power of Facebook Ads for Amazon brands lies in the ability to enable retargeting and collect contact info. Don’t just go for a quick sale, but build a sales funnel and a more powerful brand.